I LOVE to scrapbook! Sadly I haven’t done a lot of it in the last couple of years. I have done a little bit of digital Scrapbooking and really like it. 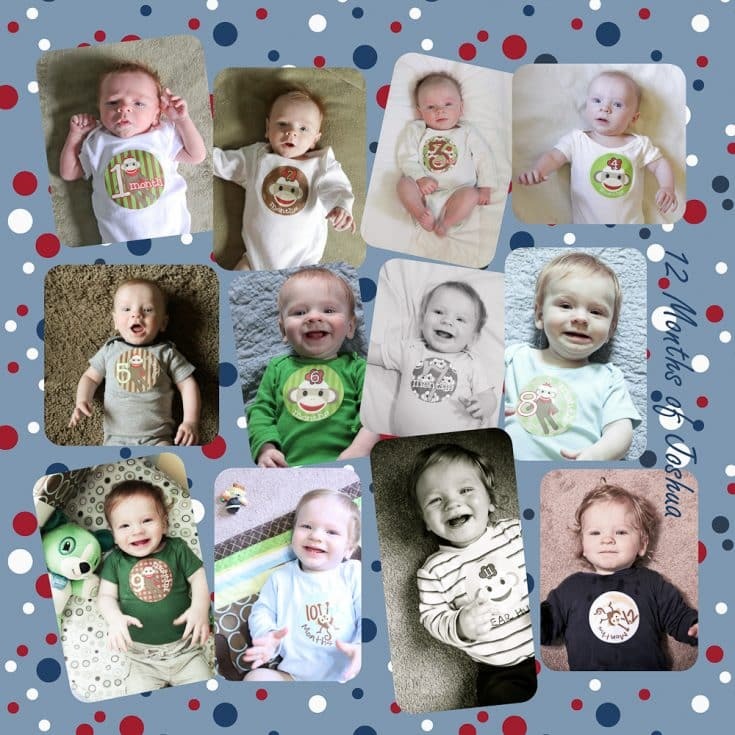 I was contacted by www.MyMemories.com for a review of their Digital Scrapbooking Software. I will also be able to give away a copy of it to one of my readers. I just love how easy this was. You can choose between an already made template or a blank sheet. I chose a blank sheet for this one so I could make it exactly the way I wanted to. I was able to add the pictures, crop them and then tilt the ones I wanted. I then added the background and the text. I love all the different ways you can use the text too. It makes it so much more easy to customize it that way. You can also easily add your own embellishments and backgrounds to the software. Besides just making a scrapbooking page you can also add multimedia such as videos or music. And it is really easy to save your projects and share them with friends and family. They also have a fun word art designer where you can make the play around and make all sorts of cards, pictures, and signs. I just started a Baby’s 1st-year album for Baby J. I can go on their website and download even more than what comes with the program. Some of their kits are free and others cost a few dollars or less. How would you like to win a copy of this software? I will be giving away 1 copy of the My Memories Suite Digital Scrapbooking Software. The giveaway will start right now and go until Monday, December 5th at 11:59pm Central time. Good luck! I will be picking the winner using Random.org. If you would like to buy the software on your own or after the giveaway is over, please enter my coupon code: STMMMS5164 to receive a $10 discount off the purchase of the My Memories Suite Scrapbook software and a $10 coupon for the MyMemories.com store – $20 value! Mymemories.com gave me a copy of their software in exchange for this review. The giveaway is also being sponsored by them. If you have a product that you think my readers would like and would like to sponsor a review and/or giveaway, please contact me for more details. I would love to work with you. I like the It Happened this Year kit … I could use it to make a book for my hubby when he returns from deployment!! I would really like a Dotty Christmas Scrapping Kit.